Today I can finally announce an exciting event for Mauldin Economics and for me personally. I believe you will be excited, too. Longtime readers know that George Friedman, one of the world’s foremost geopolitical analysts, and I are very close friends. We have been collaborating for years. What is not widely known is that George has left Stratfor, the firm he founded almost 20 years ago. George and I are now working together to bring George’s geopolitical analysis and on-target predictions to my readers. We will do this through a free weekly e-letter from George, sent exclusively to Mauldin Economics readers. George will also offer a more in-depth subscription service for those who want additional analysis. George and I have spent a great deal of time together with our teams, developing an exciting new way for you to understand the interplay between economic and geopolitical forces. As I have learned more about George over the years, I have realized that he is more than just an astute observer of geopolitical forces and an amazingly accurate forecaster. He is also a very deep thinker and political philosopher. His understanding of the historical foundations of global politics and governments adds depth and helps to refine his forecasts. For those not familiar with George’s thinking, he has a geopolitical forecasting methodology that has been as accurate as any I know. Now he will apply that methodology to our new venture together. In today’s letter, I have transcribed a conversation George and I had a few days ago. In it, we talk about how our new joint effort came about and why George has left Stratfor to create his new firm, Geopolitical Futures. I feel very fortunate that George has agreed to join forces with me. At the conclusion of today’s letter, I’ll share a little more about our joint vision from my own point of view. First, let’s go to my interview with George. JOHN: George, tell us how all this came about. GEORGE: Well, I've spent my life working on two crucial questions: how do we understand how the world works, and how can we predict what is going to happen? I have done that as an academic, in government work, and in founding and running Stratfor. Now I’m launching Geopolitical Futures, a company whose primary focus will be publishing our analysis for lay readers. I see nothing more important in the world than the unfolding geopolitical features that constantly affect our lives. Without looking at them carefully and skillfully, we can understand nothing else, including the financial markets. I am extremely excited to be working with you, John. We have been sharing our thoughts for many years, and we’ve become good friends. JOHN: I think it’s been a decade or more by now. GEORGE: It has to be that long, at least. The chance to work on something together is one of the most exciting parts of my new business. JOHN: I remember the moment when you told me you were leaving Stratfor. My first thought was how I would love to work with you, and I tossed that possibility at you. I’m glad that spark of a conversation brought us to where we are today. I want to talk today about what geopolitics really is and then get into some of your current predictions. First, though, why do something different? Why leave Stratfor? GEORGE: Well, Stratfor has become a large, successful company that does many things. I want to do one thing: I want to write and think and publish about geopolitics, and I want my writing to be accessible to the average reader. I don’t want to be esoteric; I want to consistently produce analysis with my team that enlightens the public. We know there has been a decline in civility when people discuss big issues. We all access a huge amount of information today, but it actually seems to have made people less informed. There is so much information that people are no longer sure what makes sense. I want to create a geopolitics platform that defines what is important and what is not. What is geopolitics? Well, geopolitics is economics. It is politics. It is military. These wildly diverse fields are really one. You cannot understand Chinese economics without understanding the Chinese military. You cannot understand American economics without understanding American politics. All these are intimately related everywhere in the world. The world needs a platform that ties all these strands together. JOHN: I recall a discussion we once had at your beautiful Texas Hill Country home on the classical origins of what people once called “political economy.” Economic science actually emerged from political science. There was not a field called economics independent of politics until the late 19th century. The traditional concept was that economics and politics were intimately linked. The nation was the vehicle for both. It is interesting to me that free-market advocates – and I’m one of them – frequently forget that Adam Smith had a very complex view of the market. He never thought of it as independent of the state. JOHN: Yes, and much of the debate over the state and economics and the role of business is actually intellectuals looking for some way to gain power over the state and then gain power over the economy. Generally, that ends as crony capitalism. You end up with something that looks not unlike what we see in China today, where a relatively small number of people have a great deal of wealth. GEORGE: Well, one way to look at the past two or three hundred years of history is as a struggle among intellectuals – like those who founded our own country. Jefferson, Franklin, the authors of the Federalist Papers – these were people who lived the life of the mind. Two struggles are going on. One is among intellectuals, be they economists or hedge fund managers, and non-intellectuals. The other is among the intellectuals of various tribes. Sometimes the outcome leads to crony capitalism. Sometimes it leads to the founding of a virtuous republic like the United States. The intellectuals have driven our sciences, our engineering, our economics, and so on. It was inevitable that they would collide on what kind of nation-state we should have. JOHN: That struggle is how we enable individuals or corporations to produce, grow, and thrive, and how we divert income and assets to the state for the good of the state, which means the whole of the body politic. It is this clash of ideas, the debate over the principles by which we should organize the state, that drives both politics and economy. GEORGE: Well, another way of saying it is that the capitalists can thrive as much as they want until the first bomb destroys their factory or until the first mob loots them. They aren’t independent of the state. The very idea of a corporation is a political idea. That someone should be able to own part of a company but not be liable for all its debts is a very modern idea. It's also a very radical idea. JOHN: If you read the history of Cornelius Vanderbilt and his buddies in New York, some were not very nice people by today’s standards. Some of them were virtuous, but they launched their careers at a time that pre-dated the modern concept of the corporation. During the 1870s they actually invented (in a not totally straightforward manner) what has become the modern limited-liability corporation. You're right; it is a relatively new concept. GEORGE: It is also a political concept. It was the state setting liability. The notion that there can be limited liability doesn’t flow from the free market. It flows from the state, which says you can have this kind of corporation. To this day, if you want a corporation – which most of us do when we start a business – you go to the state to take out a license. This idea of the free market that also assumes the existence of limited-liability corporations inherently shows the intimate link between the political system and the economic system. JOHN: If you go back and study the development of the corporation, it was actually a bunch of guys going to their political buddies and saying, “We need this rule on limited liability.” One of the great debates back in the 1870s and 1880s was over the nature of the corporation and capital formation, which centered in New York with a few outlying centers here and there. Many people simply had no trust in the corporate concept and felt it was removing control and responsibility from the individual. GEORGE: Many people, including Adam Smith, did not trust the corporation. Smith argued that unless you were an owner of a corporation, you were not committed to its interests. He disliked the idea of managerial corporatism, where you have professional managers rather than the owner running things. He was not a fan of the corporation. The point that I am making, however, is that if you look at the world through the prism of economics as an autonomous discipline, you are living in an abstract, unreal world. The real foundation of the modern economic system – the corporation – came about through political events, and some of those political events had to do with national strategy. The East India Company, one of the key elements in European imperialism, was not simply a product of rulers and elites wanting to make more money. They also wanted to extend their influence and power. Look at the companies that built India into a British protectorate or created much of the economy of North America. They launched their corporations for geopolitical reasons, strategic reasons, economic reasons, and domestic political reasons. It has never been possible to separate economic activity from these other spheres. GEORGE: Not unlike what we see in the United States with energy policy. We see it constantly. In World War II, we essentially saw the nationalization of American industry: companies placed under government control to boost the war effort. Government is constantly creating things that corporations then sell, from the microchip to the internet. The government developed microchips for ICBMs because they required a lightweight computing system. Now microchips drive the economy. The point I am making is that economics, politics, and strategy are wonderful distinctions for an academic department or a magazine to make. In the real world, they are different aspects of the same thing. That unitary thing is what we try to study. That is why I think our coming together will be so beneficial to all of our readers. Just as in our private conversations, we can work to bring both our realms into a single stream of thought. JOHN: I totally agree and saw that potential from the outset. Now, let’s shift from the theoretical and the philosophical to the practical. I know you will issue a detailed forecast for 2016 later in the month, but let’s talk in more general terms about what you see happening in the coming year, some of the hot spots that will move up from page 16 to page 1. GEORGE: Well, what is on page 1 right now, or should be, is the fact that Eurasia, understood as Europe and Asia taken together, is in complete chaos while North America and the rest of the Western Hemisphere are not. In Europe, we see the entire European Union dream fragmenting. Russia is engaging in more and more aggressive behavior and simultaneously suffering an economic crisis. The Chinese economic miracle, like Japan’s before it, has reached the point of normalization, where growth returns to more normal rates, though those rates will still be higher than in the developed world. Yet China still has a billion people living in abject poverty. The Middle East is in chaos. The heartland of humanity, if you will – the Eurasian land mass from the Atlantic to the Pacific – is now riddled with crises. Worse, the crises are merging. The Russian crisis, the Middle Eastern crisis, and the European crisis are all starting to merge into one perfect storm. The other part of the equation is the relative isolation of the North American “island.” Latin America too is stable relative to the rest of the world, so we are seeing a huge differentiation in the world. On one side, the Eastern Hemisphere is plunging into deeper and deeper chaos. On the other side, the Western Hemisphere is increasingly stable in relative terms. JOHN: I will go back to another conversation we had years ago. We were discussing the euro currency. You said the number one problem Europe faced – and the one that would crack Europe open – was immigration. Nationalism was rising, and you said immigration would be the final straw. That was at least five years ago, so it was a remarkably prescient thought. What led you to that insight? GEORGE: Well, Europe is the second smallest continent in the world, second only to Australia, if you want to call the latter a continent. (My wife will kill me for that, since she’s Australian.) Europe has 51 separate nation states. The European Union’s purpose was to end conflict among these states by binding them together in peace and prosperity. The EU founders never explained how they would manage the inevitable economic and other crises that would arise. Europeans assumed that if they created a united Europe, they would enjoy perpetual prosperity. That plan stopped working after 2008, and they have never decided how to manage the pain. Secondly, they have always needed labor. The Muslims didn’t sneak into Europe; Europe invited them, first as guest workers in the 1960s and ’70s, then as citizens of all of the rapidly developing European countries. Europeans have never been good at integrating aliens into their midst, unlike the United States or Australia or Canada, each of which is built on layer after layer of migrants. Europeans have a more nationalist vision of the state. To be French means you must have a lineage that is French. Others can gain citizenship, but that makes native Frenchmen very uncomfortable. So, you have a deeply fragmented continent, united only by the quest for prosperity. With a declining population, that prosperity depends in part on immigration. The Europeans don’t know how to manage immigration, and yet they don’t want to live without prosperity. The EU project was destined to fail. Its leaders could never decide whether the nation state or the Brussels bureaucracy ultimately governed. It was chaos from the beginning, intellectually, and it took just one major misstep for all the flaws to become evident. JOHN: Mario Monti (one of the founding fathers of the euro) and many others said from the start that a monetary union would not be sufficient to bind together a united Europe. They knew they would eventually have to create a fiscal union, because a monetary union alone had never succeeded. But it was impossible to create both a monetary union and a fiscal union at that moment, due to the politics of the situation. They were perfectly willing to put off the fiscal union, thinking it would naturally evolve, probably because of a crisis. They thought a crisis would force the founding of a fiscal union that looked more like the United States. Your point is that Europe’s immigration woes will keep that fiscal union from coming about. GEORGE: Well, the fiscal union cannot happen. In the United States, if New York banks run into trouble and the federal government wants to bail them out, Texans accept the basic premise that in some sense they are bound to the New Yorkers and have to work with them. The Germans do not accept the idea that Greek problems are their problems, whatever their origins. The Spaniards don’t accept the idea that if the Poles are in trouble with Russians, the Spanish army should spring to their defense. With no sense of a shared fate in Europe, the idea that an economic problem will be solved by a joint fiscal policy suggests that other countries and other interests must dictate to the German economy or the Spanish or British economies. The Europeans are simply not prepared to trust each other in that way. Nothing in their history justifies their trusting each other. They are not prepared to give up their sovereignty. So, the notion that the European Union was about economics was a major fallacy. The EU was not about the Eurozone; it was not even about free trade; and it was certainly not about fiscal union. It was about where real political power lay and whether it was possible for a European federal capital to dictate that Germans must sacrifice for Greeks. The answer, it turns out, is that it couldn’t happen. JOHN: George, let’s shift to one of the other big hotspots in the world: China. Chinese debt is running up. Their manufacturing economy is slowing down, but their service economy seems to be booming. What is happening in China from your standpoint? GEORGE: In recent decades China has been the low-wage, high-growth economic engine of the world. Through the past 150 years, we have always had one such country. In the late 19th century it was the United States. Such economies cannot sustain themselves forever, simply because wages will rise. In China’s case, wages can rise naturally, or they can rise because China is maintaining a no-unemployment policy and is lending to corporations that really should go out of business; but in any case, at this point China’s exports are too expensive. China is now more expensive than Mexico in terms of wages and many other variables, such as transportation. The Chinese solution is to build a domestic market. The problem is that about a billion Chinese live in households that earn less than $3 a day. We have done some very careful research that says if you are earning $3 a day you cannot buy an iPad. China designed its industrial plants to service Europe and the United States, and they are no longer competitive. So Chinese leaders have this vision of developing domestic demand, but they don’t have nearly enough money or time to do that; so they are embroiled in a huge crisis, and the crisis is not just economic. It is social, in that the expectations of the Chinese are being dashed. The poorest citizens are never going to participate in the country’s prosperity. China can go in one of two directions from here. The country could fragment, as it did through most of the century before World War II, or it could devolve into a dictatorship. What I see happening in China is the imposition of a dictatorship by Xi Jinping. He is both ruthlessly purging the party of any potential opposition and suppressing dissent. He sees that he has little choice, because China has gotten itself into an economic situation where any solution short of dictatorship will rip the society apart. The leadership will now have to clamp down very hard on both society and the economy. JOHN: What does that end up looking like in five years? GEORGE: That’s a great question. The traditional model in China after the central government fails is regionalism. For example, the coastal regions are more closely tied to the American and the European economies than they are to China’s. The party machinery in the coastal areas (which is right now undergoing a purge) has a great interest in maintaining those relationships and very little interest in supporting the interior. JOHN: Looking at the situation from outside, it appears the government is spending a great deal of money on the interior. GEORGE: Sure, but the interior is a vast desert that holds a billion people. No matter how much you spend, you are not going to bring subsistence farmers up to a level that lets them support a modern economy or consume enough of the products China is producing. China’s fantasy now is that it will be a high-tech producer. To accomplish this they must compete with Japan, South Korea, Germany, and the United States, among others. That is a tough club to break into. The Chinese can’t sustain the model they have had; they can’t really adopt the high-tech model very effectively; and they can’t develop domestic demand, because they are just too poor and have too many people to do so effectively. JOHN: They can do some of all of the above, and will. They will have their successes, and they will be a force in the world. They will just not have enough of those successes. They have a huge problem because they are getting old before they have gotten rich. I remember in the ’70s and ’80s, everybody was predicting that Japan would one day eclipse the United States. The people that are making the same case for China today simply do not understand the differences in the US, Japanese, and Chinese political systems and the difficulties the Chinese face. The United States had 200+ years to develop. For all intents and purposes, Deng Xiaoping jumpstarted the Chinese from what was mostly a broken-down agrarian economy (and already middle-aged demographically) in 1980, following on the disastrous policies of Mao and the Great Leap Forward. They are trying to do in less than two generations what it took multiple generations for the US to accomplish. As my dad would say, that is a tough row to hoe. GEORGE: Thus their dilemma. The normal historical pattern would be for China to break apart into different regions with different interests. Xi is trying to prevent that by utterly breaking any organization that shows signs of serious dissent. So the two choices in China are either a fairly brutal dictatorship or regionalism and the conflict that will follow. Until 1947, regionalism was normal for China. We all assume that what happened after 1947 is the new normal. Is that right, or was it just an aberration? JOHN: In closing, give us an idea of what your weekly letter will cover. GEORGE: It is going to focus on two things. First, we will provide forecasts on geopolitical events, which we define as political, military, and economic. Second, and most important, we will define what matters and what doesn’t in the daily avalanche of geopolitical information that buries all of us. If we manage that, I think we’ll make a contribution to civil discourse. If you are a Thoughts from the Frontline subscriber, you will soon start receiving a free copy of George’s This Week in Geopolitics letter. You can of course opt out at any time, but I strongly suggest that you read George’s letters for a month or so if you aren’t familiar with his work. He really is the best, in my opinion. George has assembled a team that will consistently give you invaluable insights into the workings of today’s geopolitical world. For those who are familiar with George and already know they want his Geopolitical Futures subscription service, we are going to offer an attractive initial discount for the very first group of subscribers. As a subscriber you will get quarterly and annual forecasts, weekly regional analysis, and a brief daily commentary giving you the inside track on the most important breaking developments in the geopolitical world. You won’t be hit by a firehose of information, just very focused, insightful analysis. Geopolitical Futures is all about telling you what really matters in the world and, just as important, what doesn’t. 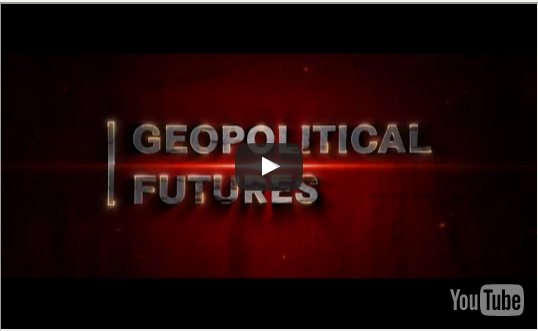 For more information on Geopolitical Futures, you can view a brief two-minute video of George telling you about his new project. Just click on this link or the video below. For me, this new venture with George is more than just another business arrangement. It is an opportunity to work with a close friend. The older I get – and George and I have echoed this sentiment to each other – the more important it is to work with people we actually like and whose company we enjoy. Actually, for those who know George, that means you get to work with George and his wife, Meredith. The two of them have been joined at the hip for decades. They work as a team as smoothly as any couple I’ve ever known. Being around them is truly a pleasure. They always bring a lot of smiles and some good laughs. There is a great similarity in George’s and my visions of what we want to do, now that we are in our mid-60s, since we still consider ourselves to be at the top of our games. We’re not at all interested in retiring, and we both really enjoy the intellectual pursuit of thinking and writing – communicating ideas about where the world is going and what we can do about it. I have had the privilege of having friends and very astute business people around me as the management and editorial teams of Mauldin Economics. They allow me to focus on the work I do best, rather than on day-to-day operations. George has now put himself in that position, too, and we both could not be happier. For many years, I’ve had the pleasure of picking up the phone and calling George and talking about what matters. I always find myself wanting more. Our new collaboration is going to mean that I get more “George time” with a man who challenges my thinking and has a fascinating intellectual repertoire. George’s understanding of history and political philosophy, his insights into how governments really work and what drives them, not to mention his deep connections in many world hotspots, will help me further refine my own geopolitical (and not just my economic) thinking. I can’t tell you how excited this prospect makes me. Frankly, this partnership comes at a time when geopolitics is more crucially important than it has been in decades. We are talking about how to integrate George’s input into everything we do at Mauldin Economics. I think that will let us step up our game, and that is the point of any collaboration. The whole will be far greater than the sum of the parts. The schedule in the subhead above sounds hectic, but it’s not really. I’m not scheduled to fly until early January, when I will spend five days in Hong Kong. More on that in future letters. In late January, I will be the keynote speaker at the big ETF conference (ETF.com), where a few thousand people will gather to talk about portfolio design in the world of ETFs. I’m really looking forward to that. Then I’ll return to the Cayman Islands for a speech in early February. I know I have to get to New York and maybe Washington DC sometime betwixt and between; but for me that is a rather sedate travel schedule – which is good, because I need to be spending most of my time researching and writing my new book. It is time to hit the send button so our editors can do their thing and get this to you before the weekend hits. Have a great week. Jan. 5, 2016, 6:05 p.m.
“It (EU) was about where real political power lay and whether it was possible for a European federal capital to dictate that Germans must sacrifice for Greeks….The Germans do not accept the idea that Greek problems are their problems, whatever their origins.” (George Friedman). During their first Semester, our students learn that before making statements, they have to get the facts right. The second rule is to strive for objectivity; the third for consistency. What else? In Europe, Mr. Friedman, you are deploring the lack of a dictator to scum off Germans. In China, you seem to deplore that the country is on the way towards a dictatorship. And from your writings, I must draw the conclusion that Germany seems to be sort of an arch enemy to you. In your value judgements, you always seem to lean against Germans and Germany. Your pamphlet above - no exception. in fact are grants. Thus, they never will be repaid by the debtor. Even more burdensome to Germany and other relatively well run economies in Europe are low interest and expansive monetary ECB policies to save Greece and other overindebted countries. Apart from costing daily billion euros in losses to savers in the EU and elsewhere, especially to big savers like Germany and Switzerland, losses stemming from misallocation of (capital) resources can only be guessed, but will be sizeable. Although the ECB is officially independent, Germany could stop this geopolitical/sic non-sense. Tacitly however, the government seems happy to get off the hook. To make a long story short: When Greece faked her way into the EU with the decisive advice of an able American agent, it created havock in the EU*. Consequently, Greek problems became not only German and EU problems, Germany was certainly instrumental that Greece is still a member of the euro zone. By the way, Germany’s billions also helped American economy and creditors to get repaid by Greece- a benefit like the German gold in US safekeeping which insiders mutter will never be returned to the legitimate owner. One day, however, you might more likely, you will blame Germany for the achievement as you blamed creditors for facilitating indebted countries in the south. Whether your criticism then would be justified or not does not matter now. Certainly, however, it would then contradict your expose of today. Dec. 15, 2015, 5:33 a.m. Very nice read John and George..worth my subscription price alone I think..best regards,Jay T.
Dec. 14, 2015, 9:02 a.m.
“We all have acces to a lot of information…..but actually seems that are less informed…”, for me that having Mr Friedman regularly writing about Geopolitics complements your set of publications and provides invaluable information to your readers. Congratulations John . Dec. 12, 2015, 7:14 p.m.
Will George be commenting in the future on the Supreme Court’s marked change to the structure of corporations by “personalizing”/“humanizing” them? It seems to me that the SC has started a potential chain of events that will bring strong, additional changes to either the corporations or to our US society, in general. Changes no majority wants but will be mandated by the legal logic. Dec. 12, 2015, 10:16 a.m.
Jbkelly96, it sounds like you already know quite a bit about the Japanese economy. You seem very confident in your analysis and conclusions. So why complain that Friedman didn’t tell you what you already know? If all you want is confirmation of that which you already believe, then Dr. Friedman’s analysis probably won’t help you. It is for open-minded people who want to be challenged and look at the world a different way. Dec. 11, 2015, 8:45 p.m.
As a new subscriber, I am disappointed that the 25 year outlook does not address Japan’s potential/pending fiscal nightmare (significant annual operating deficits, significant debt, low/negative economic growth, unrealistic policies of pumping endless liquidity into the economy). The vast majority of government debt has been historically internalized and with a significant aging population, this is not sustainable (hence seemingly ever growing liquidity injections by their “FED”). As John Mauldin and others have written extensively, “Japan is a bug looking for a windshield”. The country is experiencing significant aging accompanied by a very strict immigration policy. This does not bode well for resolution of material fiscal concerns. Indeed, this forecast fails to adequately address in any substance the widespread fiscal concerns facing developed nations globally (US, Europe, etc., etc.). GDP growth in the US is at a historically very slow (post WWII) pace. The projected outlook for increases in Federal debt to meet substantial SSA, Medicare and other transfer payments is beyond comprehension for many rational thinkers. I subscribed in hopes of well thought out, documented analysis. With all due respect, this appears to be superficial commentary/projection that lacks substance. In John’s recent letter, you said “geopolitics is economics. It is politics. It is military.” I believe you have forgotten your own words regarding economics. Dec. 11, 2015, 5:56 p.m. This is fantastic news. I am so looking forward to having George as part of the Mauldin family! Dec. 11, 2015, 1:49 p.m.
Wow! I am not sure what to think about this change for George. I began a subscription to Stratfor many years ago after reading about him in your letter. So it has come full circle. Stratfor was a wonderful education for me and a constant source of insight. I look forward to seeing his free newsletter and will keep my options open as I see how both Geopolitical Futures and Stratfor evolve.